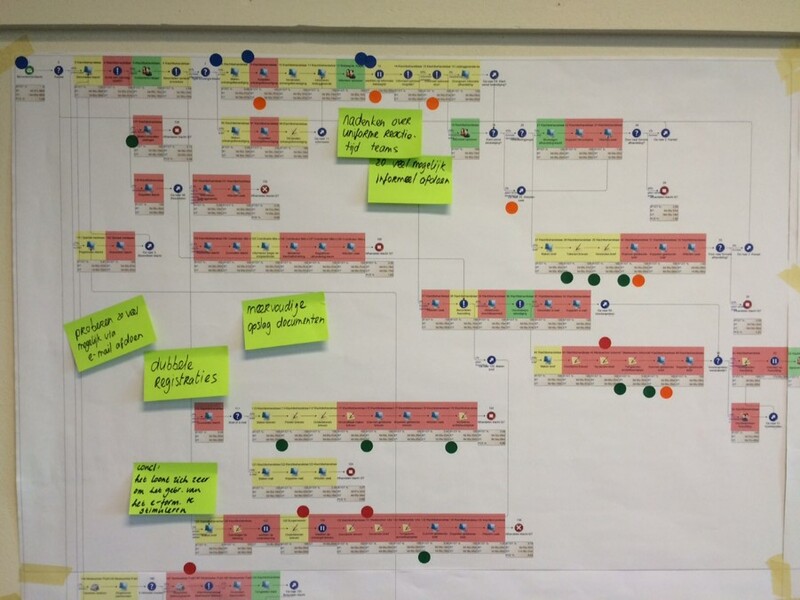 A team of employees at a Dutch city council started off study their “complaints process”. They did this by mapping their “current activities” in the Engage Process Modeler. All 84 activities were mapped, step-by-step. Customer value added or not? After mapping the process, the team started out to score each individual process step; is this step customer value added or not? Or is it internally value added? After doing this step-by-step, they zoomed out and looked at the result from a distance. The result was astonishing! Only 10% of the activities are really customer value added according to the team. And although this was confronting to the team, they took ownership of the process and improvement opportunities.